The extremely popular Halal Guys has two new Los Angeles area locations planned: downtown L.A. and Glendale. The NYC-based Middle Eastern eatery will open a new location at 7th and Olive streets in downtown Los Angeles, on the ground floor of the Mandel Lofts, according to DTLA Rising. Brigade LA, the clothing store that once occupied the space, will be moving to a larger location at L.A. Live. This Halal Guys will open in 2017, but it&apos;s not clear when yet. According to Eater LA, Halal Guys will also open shops at 11435 South St. in Cerritos and at 201 N. Brand Blvd. in Glendale, near the Americana. The restaurant also told Eater that they still have "lots more coming in 2016 and 2017!" The Koreatown location, which opened in July on Wilshire near Normandie, is still a hotspot, with a frequently packed patio and long lines. 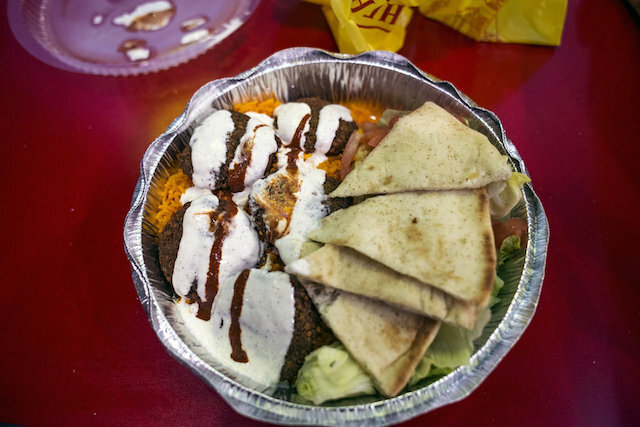 Halal Guys began as a gyro cart in New York City at 53rd and 6th in Midtown, before increasing to a several carts, followed by a series of brick and mortar eateries.